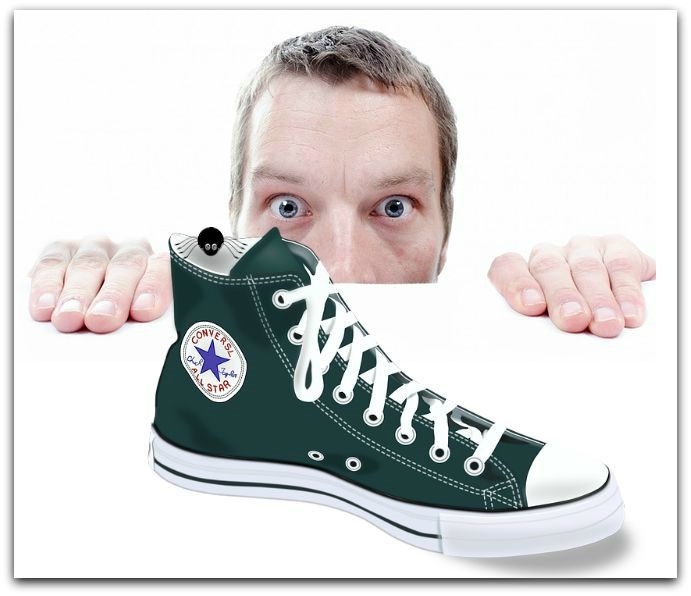 Personal Development for Life - Have you ever found a spider in your shoe? Have you ever found a spider in your shoe? The thought of that makes me shudder. Spiders freak me out, such little things but the thoughts they conjure up can make it a really big thing! I know many women can relate and the men right now could be shrugging their shoulders or shaking their heads - girls! So maybe a spider in your shoe experience (to have meaning for a few more people in my post today) could also be; have you ever done something that really hurt? Like slam your fingers in a car door, or tripped and fallen over a step you knew was there! The human brain is truly remarkable and the power it holds is incredible. Of course there is still so much we don't know and I wonder what the world will be like when we truly understand, tap into, believe and experience what is possible. But my post today is much simpler. It's meant to bring home an important and interesting point (I'm getting to it) and to provide you with a simple tool that can help change your life and create the experiences you want! And most importantly make them last. So back to the spider in your shoe (or washing basket, sleeping bag or where ever they shouldn't be). Have you ever noticed when this happens you find yourself meticulously checking every shoe before you put it on, solid for the next week or two? Then you miss a day here or there, then a month goes by. Once in a blue moon you'll remember and check or say to yourself I must remember to check! Or of course not to leave the fella's out from our other example; your much more aware of the pain caused, so for a solid week or two you’re conscious of being much more careful. The same process works in the world of personal development, but of course in a much more positive set of circumstances. You discover some new information, something that inspires you, makes you feel better or gives you that self-belief that you can now achieve a particular goal you've been dreaming about. You get off to a good start, excited, keen. But as time passes life and all its obligations takes over. You slowly forget, get side tracked and stop doing, focusing or believing that thing you learnt or read that got you excited and open to change. It may pop into your mind from time to time but the power, potential and possibility to create the change we initially thought possible doesn't come to fruition. Life remains the same. We still find ourselves struggling with the same thoughts and problems. Now I'm a massive believer and advocate for positive thinking and affirmations and I know many who hear those words jump straight to Pollyanna thinking, airy fairy or mumbo jumbo. But let's get real and go back to remembering the incredible power of our brains (what we know so far; what's scientifically proven and indisputable ). Our minds influence and create our experiences. It's that simple. And a very important note: We control our minds and what goes in there but more importantly what sticks. The real power and change occurs from repetition and immersion. Somewhere you'll see it every day! See it, feel it, sit with the thought of how your life will be when you achieve it, what will it mean to you. Immerse yourself in the thought and creation of how you’re going to bring it into being. Use your visual print out as your daily reminder and trigger. I have done this this for years and it works. Countless experts in the field of psychology and personal development have also shared similar advice. It really works. Repetition, consistency and action. Combined with the personal motivation - YOUR WHY- will help you instil beneficial thoughts and help you produce the outcome that creates the life you know you deserve. P.S there are no excuses. You can hand write it (whatever it is); you can go to the local library and print out a beautiful, inspiring, colourful image for $1. I once heard Tony Robbins say “Rarely does a good idea interrupt you”. So remind yourself daily and pursue the things and experiences that will have an incredible impact in your life. The only thing that stops us is us.